Running a residential cleaning service requires more than just showing up to do the cleaning. 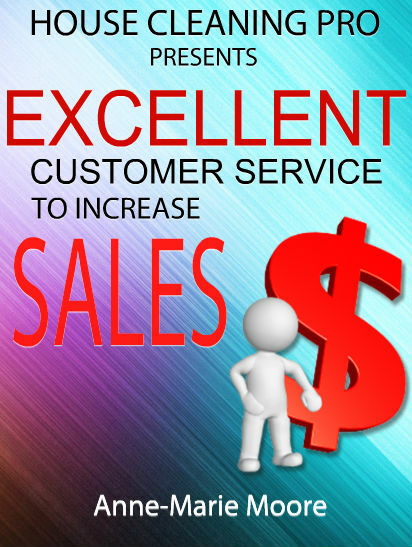 Your clients and customers have high expectations today. They want to trust the cleaning people who show up, but they also want to know what you accomplished on each appointment. 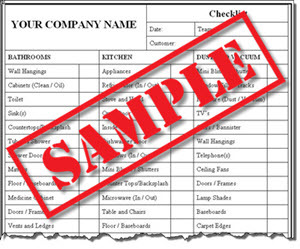 A house cleaning checklist provides this information to the client. As your business grows, it becomes more difficult to remember what occurred in each home on the last appointment. This is critical when you are including special tasks requested by the client or rotating in tasks each month per your plan. Saving a copy of the checklist in the client’s file provides you with the history you need for scheduling. The cleaning checklist comes in handy when sending workers out to clean homes they haven’t serviced and is also a reminder to new workers of all the tasks they are expected to complete. It is filled out by each worker before exiting the home and should include space for the worker to include special notes to the homeowner. For instance, the worker might want to inform the client that baseboards in a specific room were washed or let them know of a problem they encountered while cleaning. This is important information to leave behind, especially when the client is not present at the time their home was serviced. Once you have your service checklist assembled, it’s important to create a copy that can be used to sell your services. The most asked question from prospects is, “What do you clean?” Your customer checklist provides this information and allows you to talk about what you clean and how you clean during your sales presentation. This checklist is left with prospects whether they book an appointment or not. Many prospects will wait and interview more companies before hiring a cleaning service, so having your customer checklist is a good incentive and a reminder of your business while they are making that decision. Make sure quality is a part of your company culture and integrated with every step of your service. Even showing up to perform in-home estimates and arriving to your jobs should be included in your quality control procedures. You may be careful entering a home with your equipment, but your workers will not be as self-aware and could leave damage behind. This is why a policy and procedure manual is so important along with on-going training. Employees should be reminded about quality service and how the cleaning checklist is a tool for performing their job and interfacing with clients. Without these reminders, workers may end up taking it for granted. When this happens, the checklist becomes useless and could end up harming the relationship you have built with your clients. In the long-term, you can’t rely on the cleaning checklist alone. Plan on regular follow-ups during the month to ensure the work your employees indicated on the checklist are actually being performed. If they have checked off “Towel Racks,” you shouldn’t see them covered in dust when you do your walk-through. Using a house cleaning service checklist in your business shows your customers and clients that you are committed to providing them with quality service. How do you enforce quality in your company? Leave a comment and share your process. 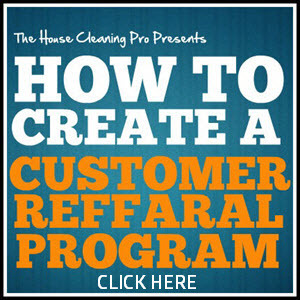 Need help with your house cleaning business? Want to know how others are handling similar issues in their business? 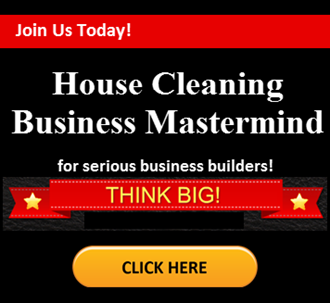 Get the help you need to start and grow your residential cleaning business in my business mastermind Facebook Group.